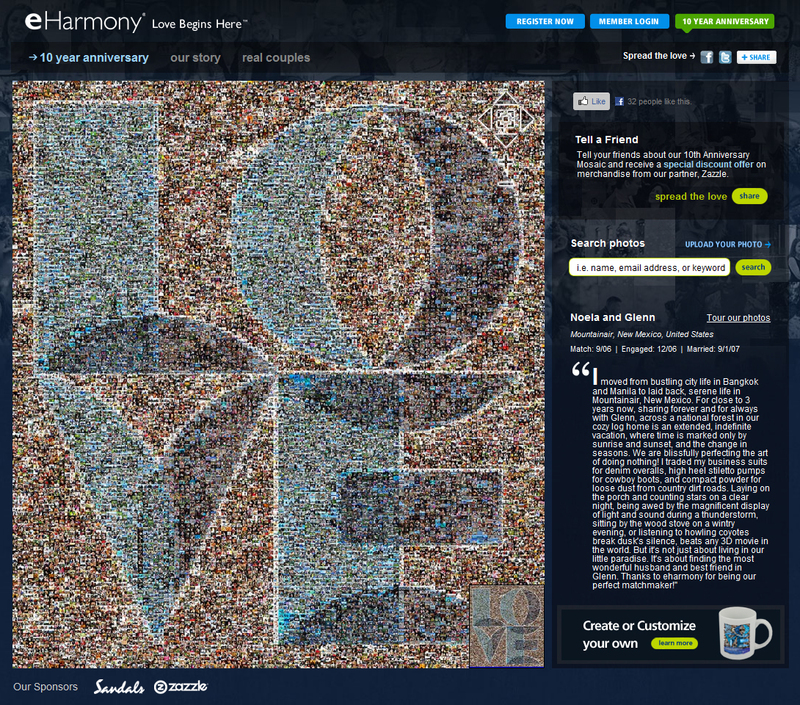 After a few discussions with the eHarmony team, our creative juices were flowing and direction became crystal clear: to create a unique online photo mosaic experience from past success couples that would be so inspiring, new visitors wouldn’t hesitate to sign up. But we wouldn’t stop there, for the final explanation point on the campaign we would set out to build the most artistic and impactful Times Square mosaic billboard ever. Please explore both aspects of this very successful mosaic campaign by clicking on either image below. 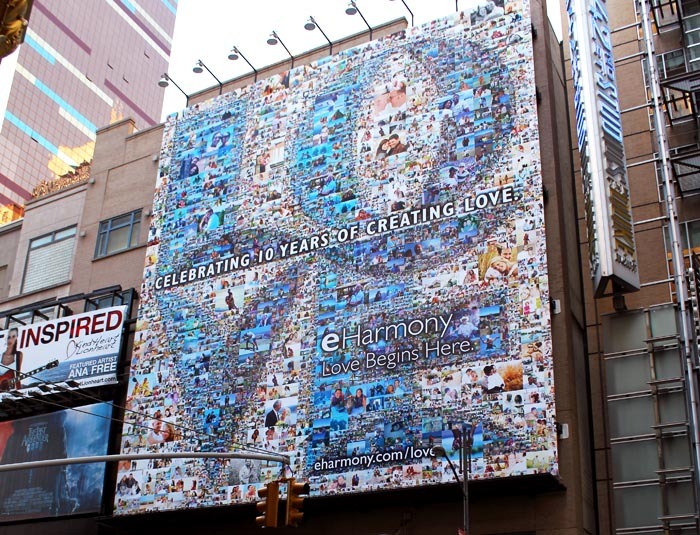 This larger than life Times Square 70×80 foot mosaic billboard was unveiled on August 19th, 2010 on 42nd St between 7th Ave and 8th Ave in Manhattan’s infamous Times Square. It kicked off eHarmony’s 10th Year anniversary celebration and 2010 ad campaign. The mosaic utilizes our new multi-size-cells. Our multi-size-cells is a new photo mosaic technology which takes advantage of varying size photos. This billboard is the world’s largest multi-size-cell mosaic and uses five distinct photo sizes, all optimally and artistically placed to maximize visual impact, depth, and that all important wow factor.